Watch Noel Gallagher's High Flying Birds play a special Radio X gig at the historic venue, and cover The Beatles. 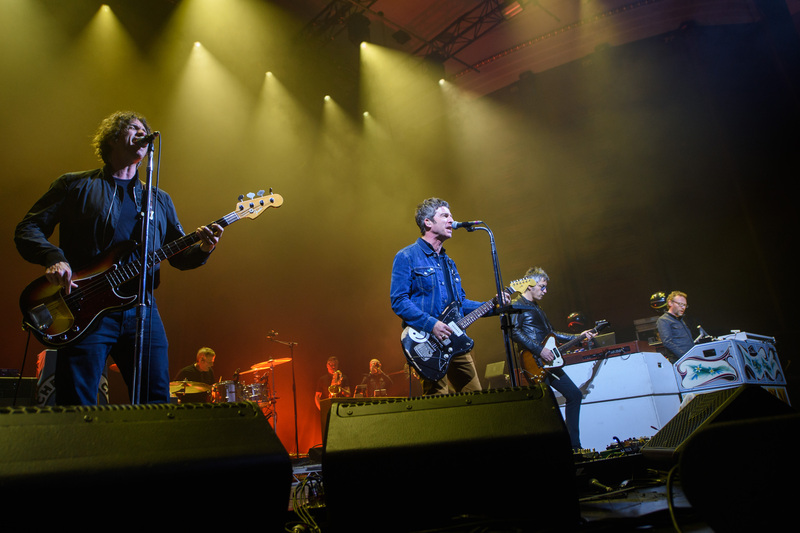 Radio X hosted a special one-off gig with Noel Gallagher's High Flying Birds at the Watford Colosseum on Monday (14 May), in aid of Global's Make Some Noise Charity. Playing a career-spanning setlist, which included Oasis favourites and tracks from throughout his solo career, Gallagher and his band opened with his triumphant Who Built The Moon? opener Fort Knox, before launching into its lead single Holy Mountain. Jubilant from his beloved Man City's Premiership League win, Gallagher ribbed the crowd about his team thrashing Watford by 3-1 earlier this month. Despite plenty of banter between Noel and the crowd, the rocker chose to end his electric set with plenty of positivity, playing a cover of The Beatles' All You Need Is Love while supported by his 11-strong band. Watch their rendition of the classic track in our video above. Tune in to Gordon Smart tonight from 7pm to hear live tracks from the show and his pre-gig interview with the Manchester legend.